Hello again, all! 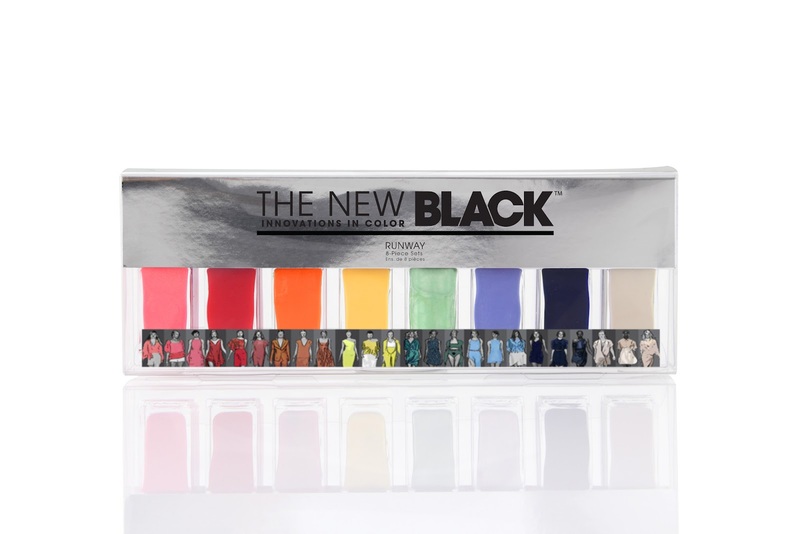 The New Black week presses on with part one of the AWESOME Color Barometer 8-piece Runway Collection. When evaluating how to write about this collection, I realized that while I could definitely wear a different color on each finger, the first four and last four kind of went together. It's a very tropical feel for the first four shades, which are a pinky coral frost, tomato red creme, tangerine frost, and a bright sunny yellow creme. This was entirely confirmed when I put them on my nails. 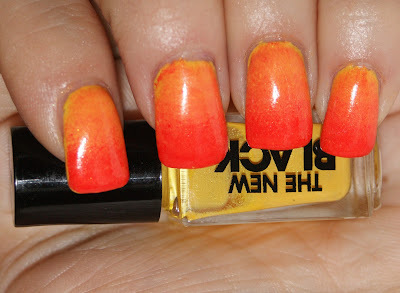 Not only are the shades gorgeous, but they scream tropical vacation to me! I felt like an island girl with these nails. Only the red needed two coats, the others I used three to even out the color and make it more opaque. But with a top coat, it came out perfect. But was I done? No. When am I ever? Oh MAN, I love this! It's like my nails are on fire... and it almost has a watercolor-like effect. You can't make me take this off! For those of you who had emailed me or commented on the Facebook page to ask if the whole bottle is gone in one mani, I assure you that it's not. 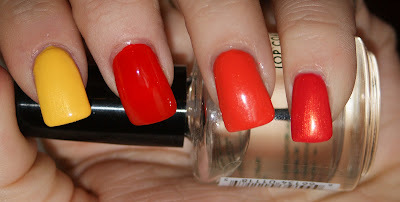 The bottle usage in the picture is from TWO full manicures at three coats per nail. 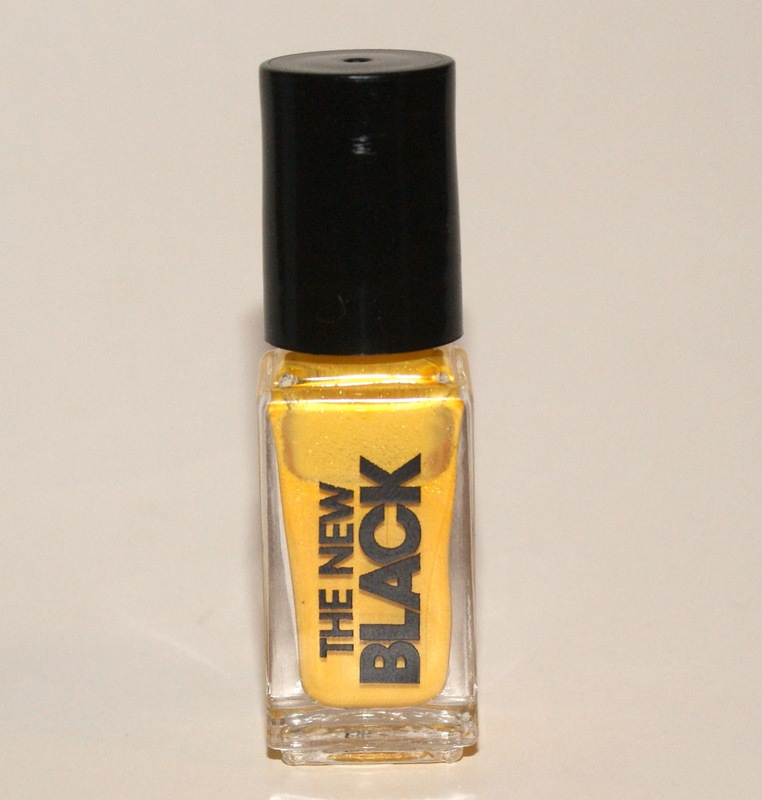 You can easily get somewhere between 8-10 manicures out of a TNB bottle of nail polish from any set. Overall, I LOVED the range of nail polish shades in this half of collection and for a cost of $4 a bottle, I think it's worth it. I love these colors and sets. The purple one is my favorite so far, but this is a close second. These are all so cool! I'm enjoying your posts. These are so vibrant, I love them! Gorgeous gradient, too!